Not able to source this item locally anymore so great to be able to get it on line. My husband uses it and does not like changing products when he finds one that suits him. Eye drops used in conjunction with contact lens wearing. Refresh is far better than any of the alternatives. Cannot purchase this product locally so pleased to find a good supplier. My husband uses it and likes it. My husband has used the product for many years but we had difficulty recently obtaining it as our local opticians are no longer stocking it. Hence I looked on the Internet and found your website. Does what its supposed to do...Nice..
Refresh eye drops, also known as ‘artificial tears’ can be applied directly to the eye while wearing contact lenses. Highly popular, they help tolerance of lenses and also alleviate symptoms caused by external influences such as dust and pollen. Hello K.J., Yes, the eye drops can be used with all kinds of contact lenses. I am not sure why you were told that, or who told you that? But it should be ok to use eye drops with Acvue Moist Dailies lenses. If you want to be sure, we recommend that you consult with your eye specialist. Regards, Martina Lentiamo Customer Care. 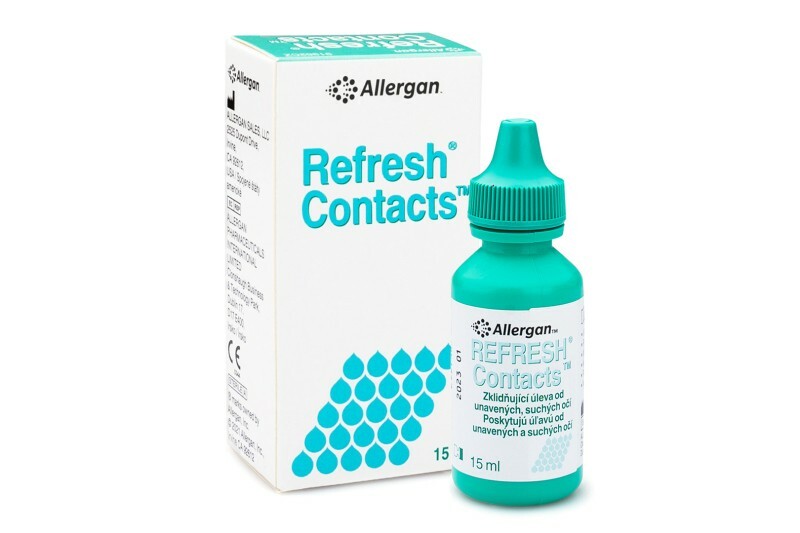 Refresh is a medicine and is used for caases of dry eyes, when there is no tear production. Optive is a device and it helps with eye lubrication. The link below will state the ingredients too. http://www.allergan.co.uk/…EyeCare.aspx Please note that there is also the phone number of the producer, whom you can ask more specific information (option 3 – medical info). I hope my reply helped.